If you’re single, a couple, or a small family, our Portable KOBE Charcoal Grill is the right choice for you. It’s small enough to cook some chicken breasts and large enough to grill four to six burgers at a time. If there’s just a few of you who want to share a meal, this Portable Charcoal Grill is made for you. 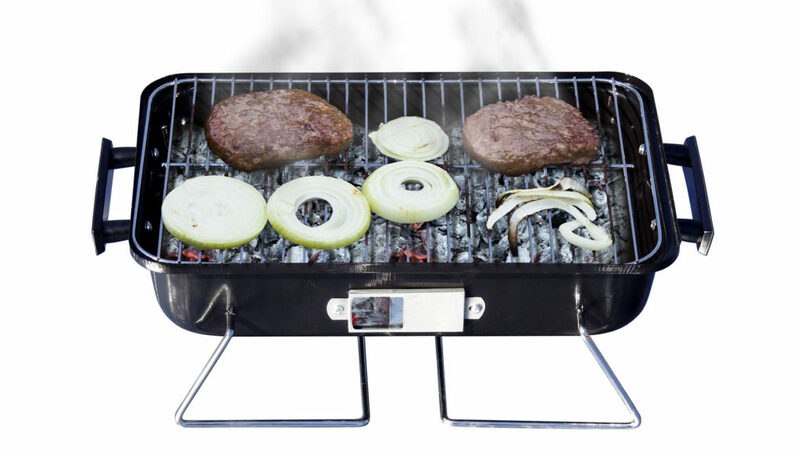 The BBQ charcoal grate has enough space to cook three burgers and three hot dogs, or four to six burgers at a time. Its compact size is great for small picnics in the backyard or the park; it’s a perfect size for camping. 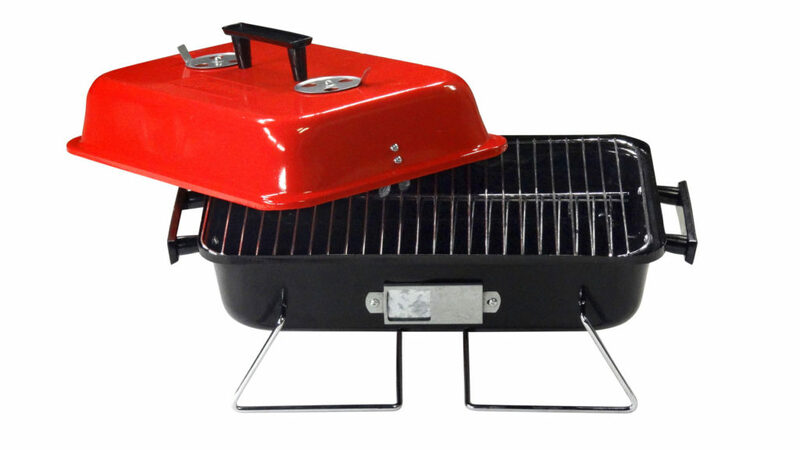 This charcoal grill is an excellent solution for small balconies, tailgating, RVs, travel trailers, and any home. 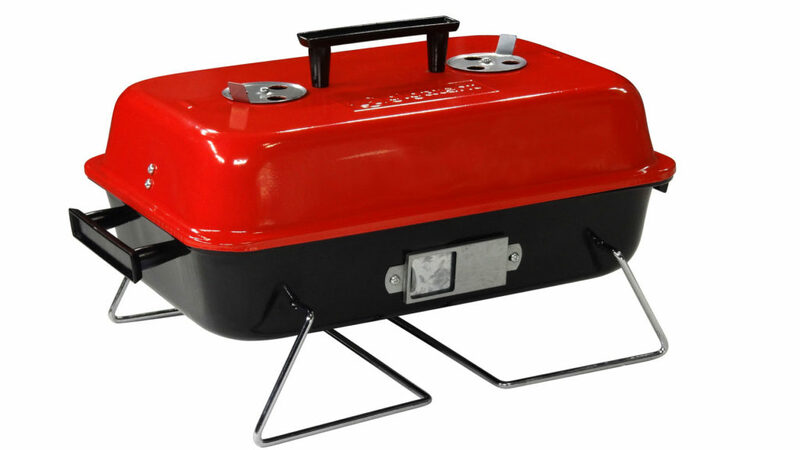 Portable Charcoal Grill is extremely easy to set up. 10” x 16” chrome wire cooking grate offers 160 sq2 inches of cooking surface. 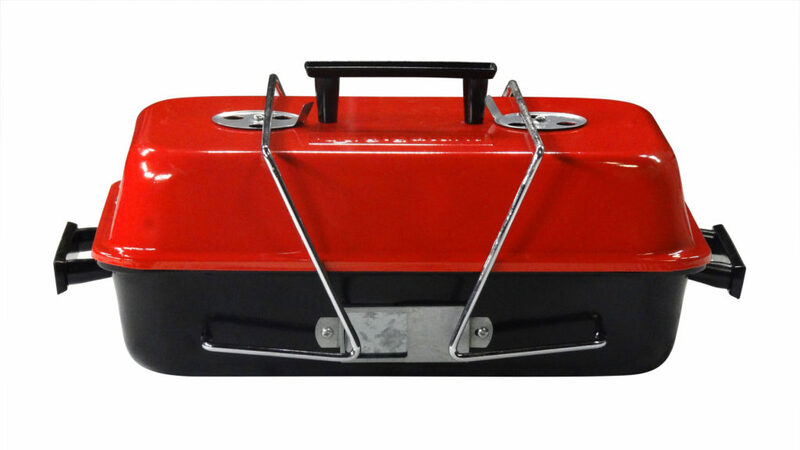 Equipped with attractive red enamel cover which prevents rust and fading. 2 air vents on the top of cover provide air control. Convenient handles on the side of grill make it very easy to move.